This is a typical project for Maple Leaf. 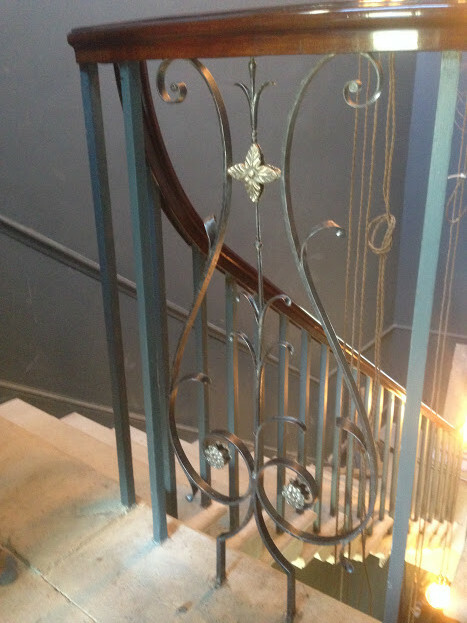 This four story staircase in Bath had been left for over a century without any care. 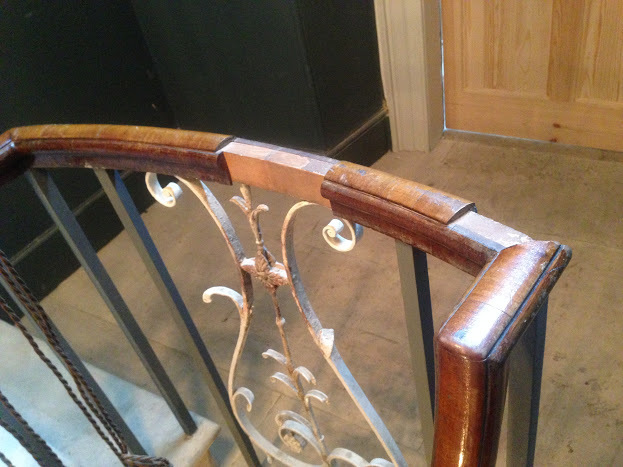 There were missing sections of mouldings, the handrail and spindles were extremely loose and it had become dangerous to use. 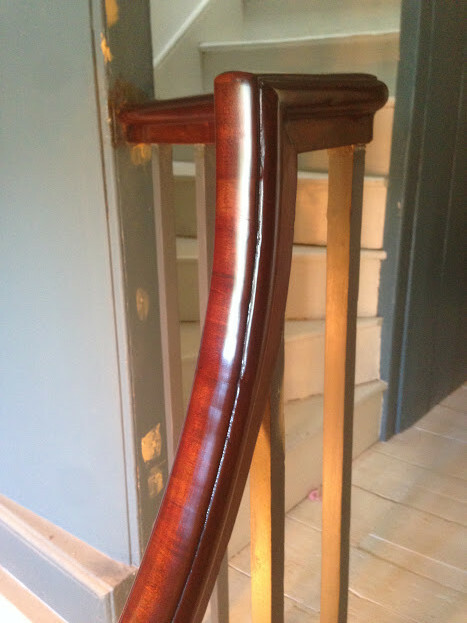 The handrail was dismantled at the joints on each level and fitted with strong fixings to make it secure. 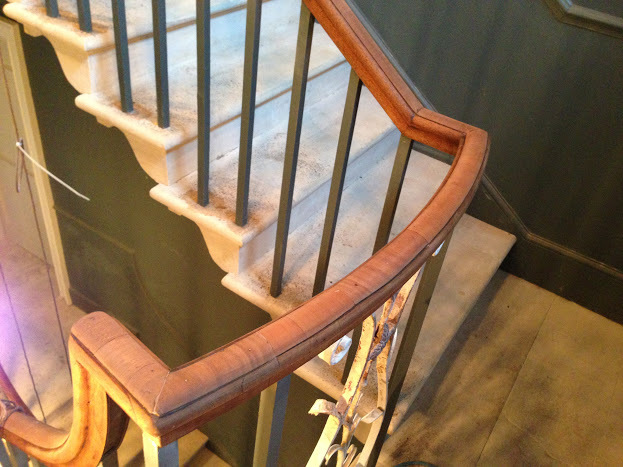 New reclaimed mahogany mouldings were made up using the existing profiles and the spindles were re-bedded with epoxy resin to secure them to the Bath stone treads. 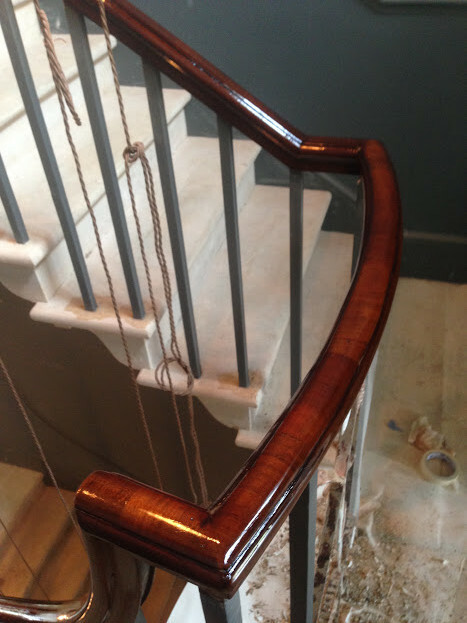 The handrail was recoloured and French polished with over 50 coats of shellac to give it a deep lustre and silky feel. The spectacular ironwork was stripped back to show the detail of the cast bronze roses and oiled to ensure they wouldn’t rust. 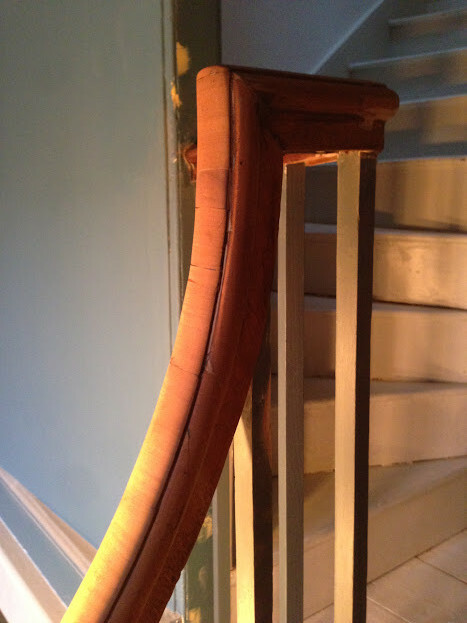 Handrail section which had received a number of very poor repairs over time. Same section rebuilt and prepped for polishing. Almost there with about 25 coats of shellac. 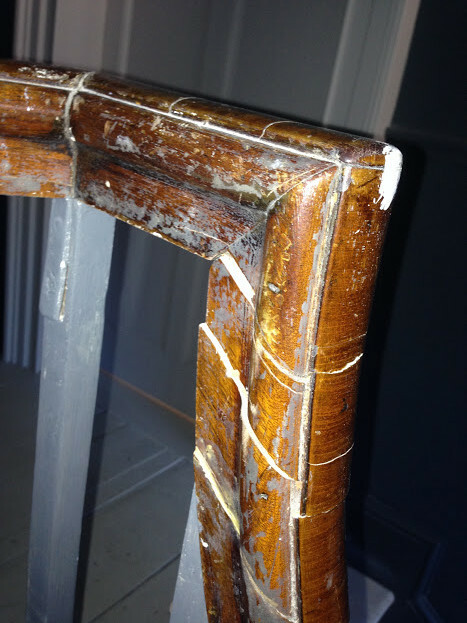 Missing mouldings which needed to be remade. Note the hand forged metal work underneath covered in thick white gloss. New mouldings ready for polishing. 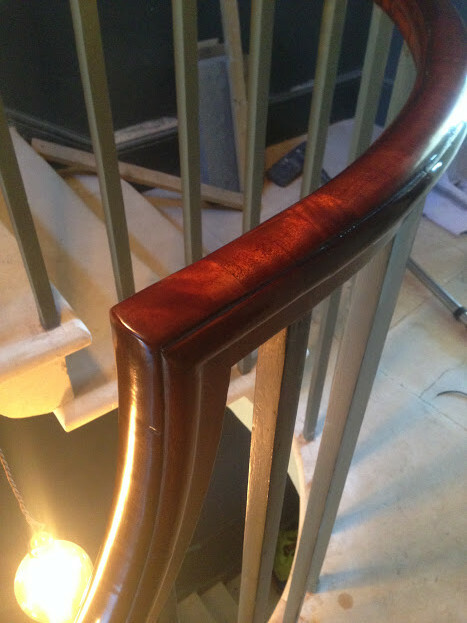 A finished section with 50 coats of shellac. New mouldings are coloured and polished and nearly ready for waxing. Showing the metalwork lovingly stripped back polished and oiled to stop rusting.